Oct 13, 2005 — Yeshiva University is working with the American Jewish World Service to send 15 students to Honduras in January as part of the university’s first Alternative Break, a new humanitarian mission. 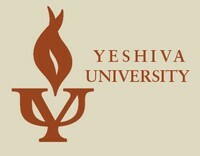 The YU delegation will travel to Honduras from January 15-22 to help a community build a school for children. The host community has never before been visited by a delegation to help them with sustainable development and building projects, and the trip is the first of its kind for Yeshiva University as well. Applications can be completed online here. Registrations must be submitted by November 8. Interviews will begin as soon as applications are in, and the final participants will be chosen shortly thereafter. Students are responsible for raising $1,500 to cover the cost of the trip. Upon acceptance to the program, students are obligated to attend three mandatory orientation sessions. It is at these sessions where vital information will be distributed, and important issues regarding the trip will be discussed. The Center for Jewish Future will insure that this trip is run in full accordance with halakha. For questions with the application process, contact Rebecca Stone at 212-960-5400 ext. 5440, or email at rstone@yu.edu. Interested students may also contact Cindy Bernstein at crbernst@gmail.com to answer any questions or concerns about the nature of the trip. Ms. Bernstein spent her summer in Ghana with AJWS. Hillel Rapp will be coordinating the halakhic needs for the trip. For questions related to halakha on the trip, email Mr. Rapp at hrapp@yu.edu.